For years I thought of Valentine's Day as mostly a go-out-to-dinner holiday, but over the last few years I've noticed that more and more people seem to be cooking dinner for their Valentine at home. 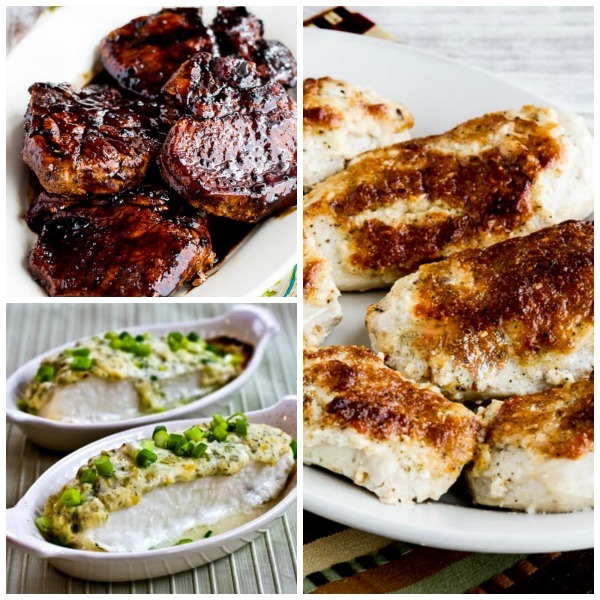 And when I thought about what to feature for Low-Carb Recipe Love right before Valentine's Day, I thought it might be fun to put together some menu ideas that you could use for a special dinner. These dinner menus would also work for those times when you're having dinner guests but still want to keep it low in carbs, so this post has Six Low-Carb Dinner Menus for Valentine's Day or Dinner Guests. Of course people like different things (which is why I've never been too keen on the idea of trying to put together menus until now) so feel free to switch up the side dishes with different main courses to create a dinner menu that really fits your preferences!